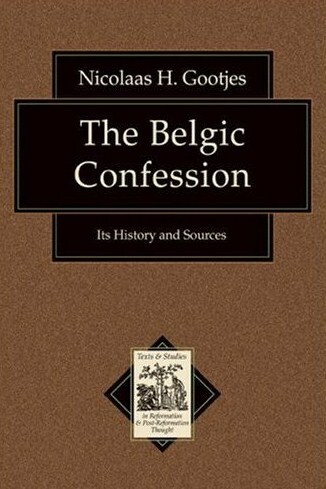 In his book The Belgic Confession: Its History and Sources, N. H. Gootjes notes the existence of a handwritten copy of the Belgic Confession dating to 1580 (see pages 117-118). This edition is based on the 1566 revision made at the Synod of Antwerp. This manuscript has now been digitized and is available online from the University of Leiden. Unfortunately, I don’t know if I can provide a direct link. To find it, you’ll have to go here and then search for “geloofsbelijdenis.” That will take you to the search results. Click on the picture for the third item. That should take you to the viewer where you can examine the document. My thanks to Albert Gootjes for drawing my attention to this fascinating item. Another interesting feature about these signatures is that some of them are on behalf of churches or synods. Last of all, if you survey the names you might come across a David Stuart. That doesn’t sound Dutch or Walloon, does it? Who was David Stuart and how did he come to serve as a pastor in the Netherlands? Perhaps someone reading this knows, but I don’t, at least not yet. This is a remarkable document, not only for being an early exemplar of the Belgic Confession, but also for what it might tell us about the history of subscription to the Belgic Confession. The signatures begin in 1580 and run till 1667, a period of 87 years. It definitely bears a closer look! I’ve just uploaded an important article written some years ago by Dr. N. H. Gootjes, “Christ’s Obedience and Covenant Obedience.” This was originally published in Koinonia 19.2 (Fall 2002). You can download a copy here. In honour of the Belgic Confession’s 450th birthday this year, I’ll be posting a number of items related to it in the next while. This review dates back from 2008. I’ve updated a few small details in it. Let me add that this book continues to be well-used in my Belgic Confession research. The Belgic Confession: Its History and Sources, Nicolaas H. Gootjes, Grand Rapids: Baker Academic, 2007. Paperback, 229 pages, $37.00. Over the years, numerous commentaries have been published on the firstborn of our confessional family, the Belgic Confession. Most of these commentaries give a brief overview of the history of the Confession, but these introductions are typically regurgitated from the research of others. Moreover, up till the publication of this book, we did not have a work in English dedicated to the study of the history and background of the Belgic Confession. The author, retired professor of dogmatics at Canadian Reformed Theological Seminary, has carefully studied all the available source documents and presents some fresh, surprising results. 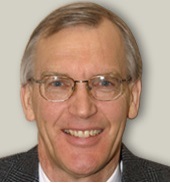 Since the publication of his earlier research on the subject, we knew for certain that the authorship of the Confession rests with Guido de Bres. But what we didn’t know was how much of a threat de Bres presented to the Roman Catholic Church. This knowledge comes through a relatively unknown painting of the era in which de Bres is included with other Reformers such as Calvin, Beza, and Luther. Gootjes includes a reproduction of the painting along with some valuable commentary. Besides his fascinating discussions of the history and authorship of the Confession, the author also explores the influence of Calvin and Beza. The mention of the latter is especially interesting, since he is often overlooked in discussions (in English) regarding the sources of the Confession. Through the course of three chapters, Gootjes traces the development of the authority of the Confession, noting that it was adopted by the churches in the Netherlands very early on, probably even before its publication in 1561. Chapter 7 deals with the Synod of Dort and the discussions concerning the Confession at the Synod and leading up to the Synod. This is an engaging section, especially for its portrayal of Arminius and his fudging with the Confession. With an eye to discussions of our day, it was also remarkable that the Synod of Dort discussed the inclusion of the doctrine of the active obedience of Christ. The chairman of the Synod, Bogerman, attempted to have article 22 rephrased so as to make room for a denial of this doctrine. In the end, all the delegates except for two (Bogerman and one other) voted this down and instead decided to strengthen the statement about this matter. The book concludes with a chapter surveying the various translations – this chapter is meant to be a survey, so it is not comprehensive (the early history of the Confession in Spanish is not mentioned, for instance). Nevertheless, it does reveal the widespread adoption of this creed. Being a student of the Belgic Confession myself, I long anticipated the publication of this work. Gootjes did not disappoint! I am confident that this will be the definitive English source on the Confession’s history for many years to come.